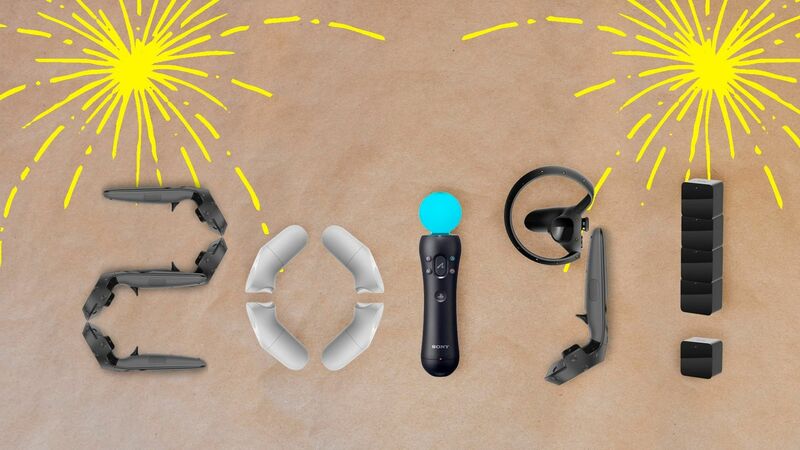 Happy New Year VR Family! We’re back for the first meetup of 2019! We can’t wait to see everyone again and kick this year off right! The particulars are still being defined for this meetup, but we wanted to get this one on your calendars sooner than later. Did you work on something exciting over the holidays? Do you want to share it? Let us know! 🌃 “Wonderfall: Tale of Two Realms” – Hyperspace XR: Reach out an feel the virtual world through heat, cold, wind, smell, and touch, all while taking part in a real live adventure. Physical and virtual worlds are carefully aligned to allow you to touch and interact with the virtual experience. Guests can sign up in time intervals from 7-9, first come first serve. 🚶‍♀️ “The Walkbox Foot Controller” – The Walkbox is a foot controller for PC that nearly eliminates motion sickness in VR. 🏰 “The Witching Tower” – Daily Magic Productions: Fight and puzzle your way through a foreboding fortress tower, unraveling each level’s mysteries. An unparalleled experience with breathtaking visuals and environments. 🕹️ “Thingamajig” – Create, play and share interactive games and toys in VR. Seattle VR’s is committed to providing a welcoming and safe environment regardless of gender, gender identity/expression, age, sexual orientation, disability, physical appearance, body size, race, ethnicity, religion (or lack thereof), or technology choices; especially technology choices. Questions, suggestions, funny pictures of your cat? Attendees need to enter through the gates on the Seattle Center (north) side and look for the Seattle VR signage. A various combination of signs and people will guide you to the space from there. Bus lines: 1, 2, 3, 4, 8, 13, 24 and D Line. There is street parking available. As a tip, the closer you park to Queen Anne hill the freer the parking gets. Though you will have to walk a bit. Your $5 admission fee goes towards snacks, water, and future events.